After you decide whether you want your app to be triggered when an appointment is made, cancelled or rescheduled, you will be prompted to enter your Cogsworth API key. 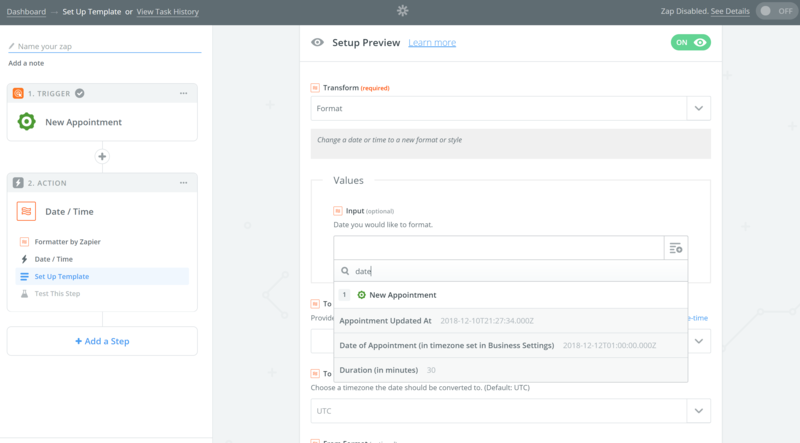 To access your API key, first ensure you are signed in, then head to the URL specified in the Zapier popup. Note: if a popup does not show up, check your browser settings to make sure your browser is not blocking popups. Also, check that your popup does not appear behind other windows - this can sometimes happen, especially if you are using multiple screens. Your connection should go through successfully. 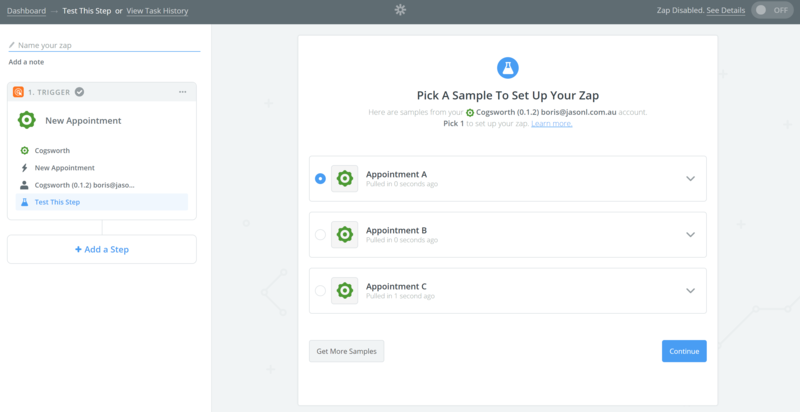 Click 'Test This Zap' - at which point Zapier will either pull in prior appointments you have had through your Cogsworth account, or if you have not had any appointments, sample data will be pulled through. 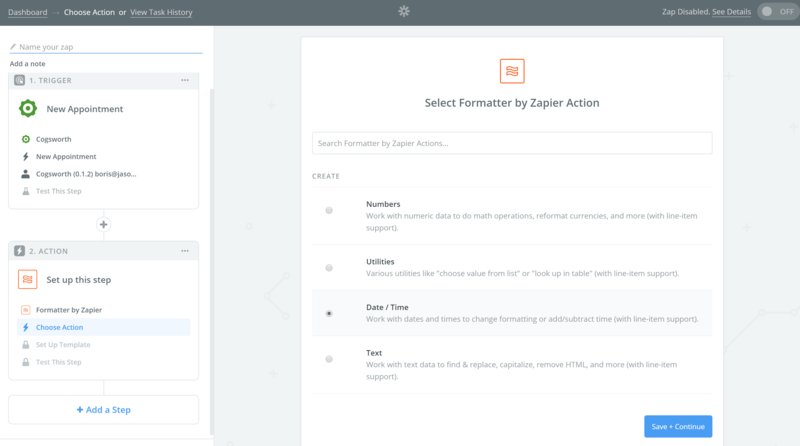 Next you can add a step to connect your Zapier to any app in the Zapier directory. You can format the data you extract out of Cogsworth and selectively filter it into specific apps. 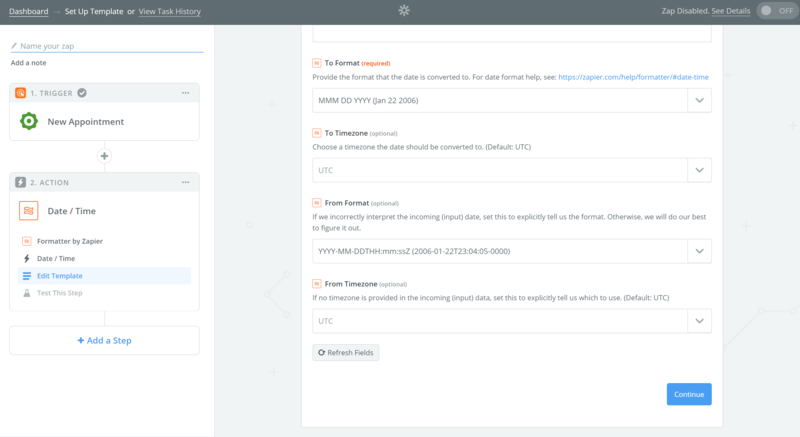 This will allow you to feed select Cogsworth data to other zapier apps. 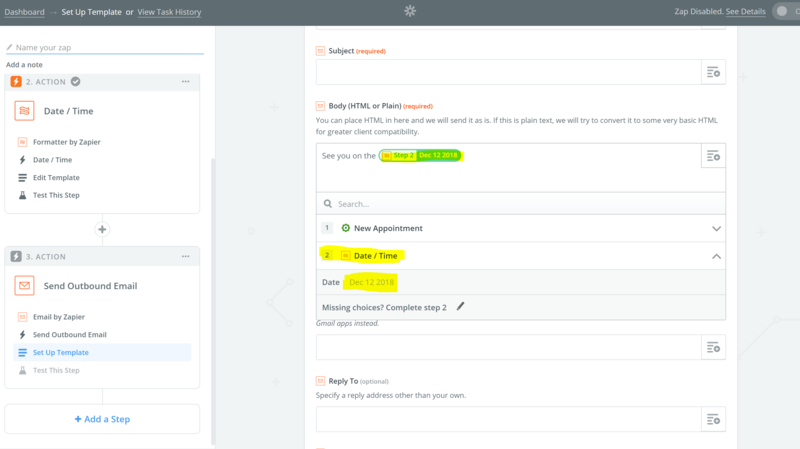 For example, add a filter to only filter appointments from a specific service - as the screenshot below demonstrates. 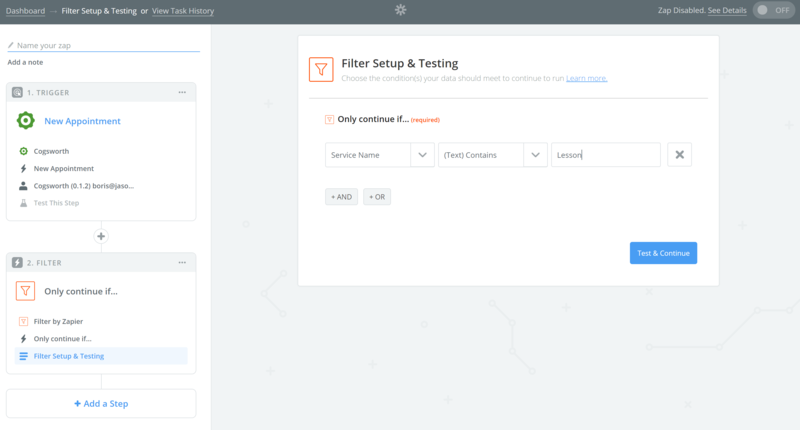 This ability to add filters does require a paid Zapier account. Formatting is extremely useful and important, particularly if you would like to format the date into a localized version of a date to be used in your CRM or any other app of your pleasing. Then select 'Format' on the next screen and choose the date field out of Cogsworth. Select the format you prefer in 'To Format' and you can find the 'From Format' as YYYY-MM-DDTHH:mm:ssZ (2006-01-22T23:04:05-0000) - this is detailed in the screenshot below. Click 'Continue' and then test the zap. 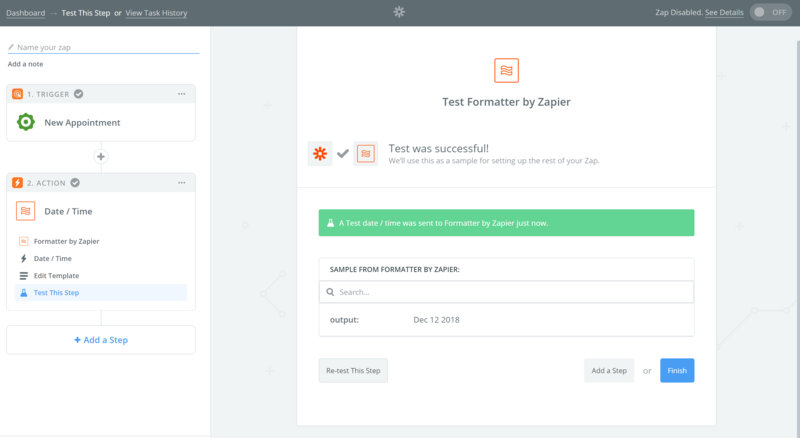 Once you have filtered and formatted your Cogsworth appointment data as you want it, you can then use that formatting in subsequent zaps by referencing the formatter zap. This is depicted below. 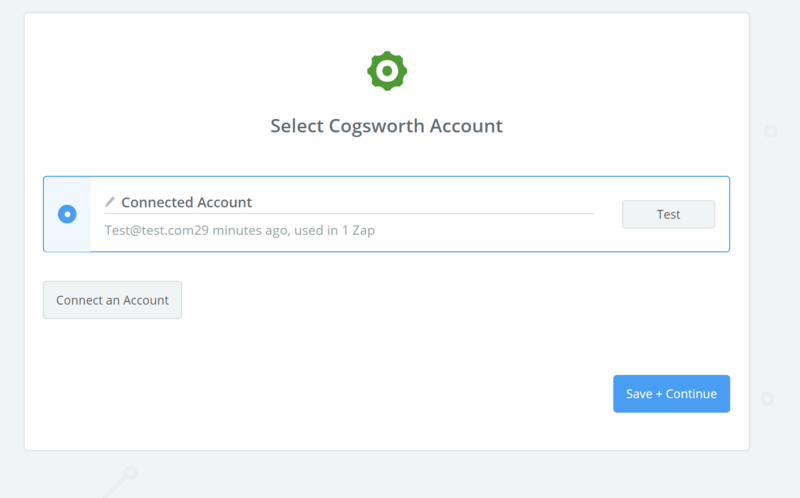 We will be bringing out more ways for your to push and pull data in and out of Cogsworth.